Imagine the mid-1960’s in Brooklyn. You are strolling down New York Avenue to St. Gregory’s Church, where a benefit concert is being held to raise funds for a neighborhood playground. You are surprised to see John Coltrane’s Quartet playing A Love Supreme, with the great Rashaan Roland Kirk on the bandstand as guest artist. Not only that, but Thelonious Monk is hanging out in the wings, ready to play a few tunes as well. This is no ordinary charity event. Who could have organized such a performance? Who would have the clout to pull such heavyweight players in for a community benefit? Duke Ellington? Tadd Dameron, perhaps? Fast forward to the present day. Few casual fans of Jazz recognize the name. Sadly ignored by countless Jazz critics,Massey (1928-1972) was revered by the foremost musicians of his day as a genius of composition and a solid trumpeter. 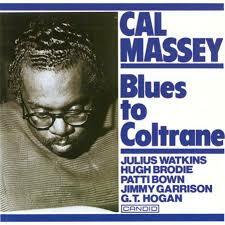 John Coltrane, Freddie Hubbard, Lee Morgan, Archie Shepp, and many others actively performed Massey‘s works. He was a forceful activist for the Black Liberation Movement and was seen as a pillar of his community. Who was Cal Massey? What is his legacy? How can a man simultaneously be ignored by many but held in high regard by such luminaries as John Coltrane and Archie Shepp? Massey‘s family moved to Philadelphia in his teenage years, where by a chance encounter he earned a spot in Jimmy Heath’s big band trumpet section. This particular group featured an alto saxophone player that immediately captivated Massey: John Coltrane. The two became lifetime friends. Family and friends recall the two talking about music for hours on end. During the 40’s and 50’s, Massey began to hone his craft as a composer. Under the tutelage of Freddie Webster and constant interaction with the giants of his time (like Miles Davis, Coltrane, and others), Massey distinguished himself as a musical force to be reckoned with. It was during this period that Massey met Romulus Franceshini, an Italian-American musician and socialist. The two formed an important musical and ideological partnership until Massey‘s passing, with Franceshini often conducting Massey‘s groups. Fred Ho, the late baritone saxophonist and Massey expert, relates that in the early 1960’s, Massey stepped into an elevator with Francis Wolff, co-owner of the iconic Blue Note records. According to Massey‘s wife Charlotte, Massey attempted to speak to Wolff, but Wolff ignored him. Out of frustration, Massey kicked Wolff as he left the elevator. From then on, Massey was effectively blacklisted by Blue Note and other prominent record labels. If true, this would perhaps explain Massey‘s relative obscurity in the Jazz legacy. Despite his troubles with the music industry, Massey was entering his most creative period. 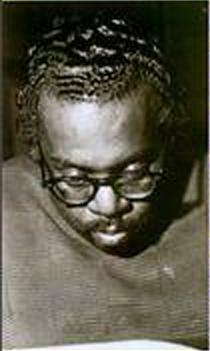 He contributed to Coltrane’s Africa/Brass sessions, notably “The Damned Don’t Cry,” which would become part of his seminal work The Black Liberation Movement Suite. Massey collaborated extensively with the young lion of the time Archie Shepp, whose discography is populated by many Massey originals. Like Massey, Shepp was a musical activist, as illustrated by the acclaimed Attica Blues album and other self-produced recordings. The Black Liberation Movement Suite is Massey‘s masterpiece, thrusting him onto the same level as fellow composers and contemporaries Sun Ra and Charles Mingus. It was premiered at the first of a series of benefit concerts for the Black Panthers, but has rarely been performed since the 1970’s. 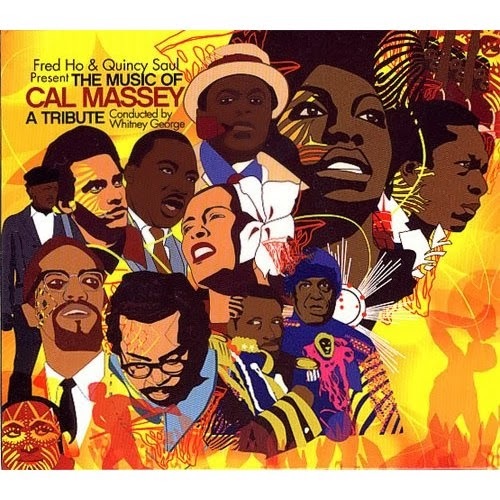 More recently, Fred Ho rerecorded the suite with a large group ensemble, Each movement has a close connection to the B.L.M., with some numbers dedicated to heroes of the Civil Rights movement like Dr. Martin Luther King and Malcolm X.
Massey constantly was battling poor health and succumbed to illness in 1972, beloved by his community and peers, but unknown to many. If the opinion of a musician’s peers count for anything, then Cal Massey certainly deserves to be held in the highest regard, carrying on the tradition of Ellington, Mingus, Hubbard and other geniuses of composition in the Jazz tradition. Critical acclaim does not necessarily equate to artistic greatness, and sometimes an artist’s integrity to his or her beliefs may alienate the recording industry. Massey took matters into his own hands, either self-producing his albums or performing music directly to his family and community, eschewing profit for artistic greatness. As time goes on, hopefully the Jazz community at large will perform and appreciate Massey‘s works for many years to come. Ho, Fred. 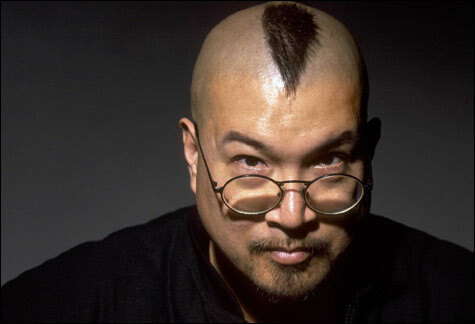 Wicked Theory, Naked Practice: A Fred Ho Reader. “The Damned Don’t Cry: The Life and Music of CalMassey.” Ed. Diane C. Fujino. Minneapolis: University of Minnesota Press, 2009. 129-151. Thomas, J.C. Chasin’ the Trane. New York: Random House LLC, 2012.